Experience the film that Vogue calls “powerful, hilarious, and savage” when Mid90s arrives on Digital December 21 and on Blu-ray (plus Digital), DVD, and On Demand January 8 from Lionsgate. Written and directed by Academy Award nominee Jonah Hill (Best Supporting Actor, Moneyball, 2011; The Wolf of Wall Street, 2013) this Rotten Tomatoes Certified Fresh film, Hill’s directorial debut, premiered at the Toronto International Film Festival in September 2018 and has had fans and critics buzzing ever since. Produced by Scott Rudin and Eli Bush, Mid90s stars Sunny Suljic (The House with a Clock In Its Walls, The Killing of a Sacred Deer), Academy Award nominee Lucas Hedges (Best Supporting Actor, Manchester by the Sea, 2016), and Katherine Waterston (Logan Lucky, Fantastic Beasts and Where to Find Them). Written and directed by Jonah Hill, Mid90s follows Stevie, a thirteen-year-old in 90s-era L.A. who spends his summer navigating between his troubled home life and a group of new friends that he meets at a Motor Avenue skate shop. 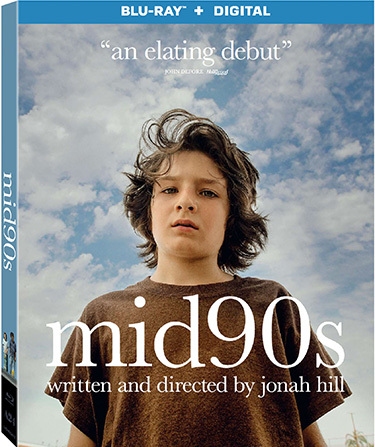 Take home Mid90s and access never-before-seen deleted scenes and an audio commentary with writer-director Jonah Hill and cinematographer Christopher Blauvelt. 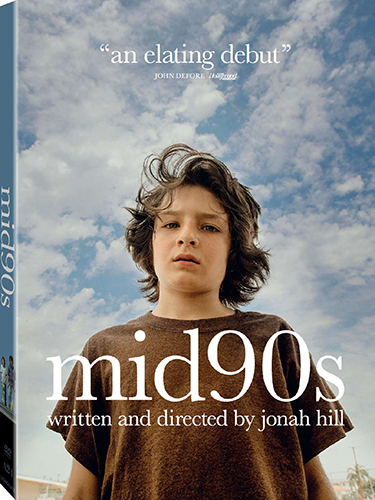 The Mid90s Blu-ray and DVD will be available for the suggested retail price of $24.99 and $19.98, respectively.